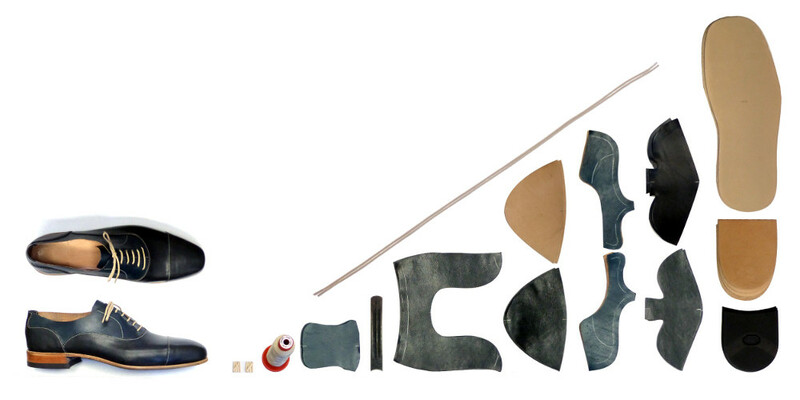 Learn to make shoes and all of their pieces. Shoemaking workshops include learning about lasts and sizing, shoe design and pattern making, cutting and sewing shoe uppers (known as clicking and closing), cement construction and classic hand sewn welted shoe construction. See the workshop listings below for currently scheduled or past workshops for more details on each topic including duration and price. In addition to group classes, I also offer private instruction. Private, start-to-finish shoemaking classes take 7 – 10 days, depending on construction type and cost $3,000. 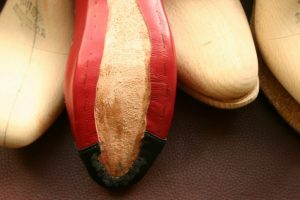 There are many different types of shoe construction, the most common of which is using adhesives to bond the upper to the sole (and sometimes also to the insole. Known in the trade as “cement construction,” this course teaches how to make shoes by bonding the upper to the insole and the whole works to the sole. You will learn how to form a shoe upper around a last (lasting), how to make and last the supporting components like heel counters and toe puffs, how to attach it all to the insole, and finally attach unit soles with integrated heel. Most shoes in production today are made this way. If you took the classes on upper making and pattern design, you can use that to make your shoes, otherwise an upper will be provided. To make shoes, you need a last. Getting the right last can be tricky. You can find lasts in second hand stores, eBay and from last manufacturers. Even once you have one, how do you know if it will fit or for what purpose it was originally made? What changes can you make to lasts and how? This workshop is an introduction to lasts and sizing. This will help you understand relationships between the last and fit, function and style. Learn about different last materials, cut types, suppliers and how to order. 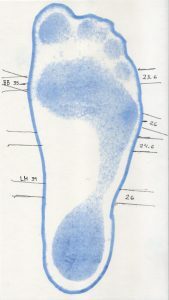 You will learn some standard measuring techniques and apply those to your own feet. 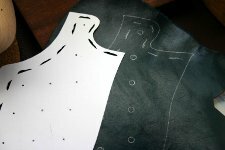 I will provide an overview of basic last fitting and modification techniques. When you are done, you should be able to understand what it means to get a last “in your size.” Some lasts will be available for purchase and you are welcome to participate in a bulk order when class is done.